As a new or old business owner, a number of legal issues can complicate your business life. In fact, there are a few key legal issues every business owner needs to address. The government places a number of requirements on businesses as employers and suppliers. Obviously, this page cannot replace the advice and knowledge of a business lawyer, but it can get you started on what to be aware of for your business. Employees make your business goals a reality. However, employees can also cause legal issues to flare up and run you into an intense legal battle. A quick internet search can reveal all the problems that employers have had with their employees. The government is unbending in its standards for workplaces. When an employer violates the law, knowingly or unknowingly, they will still face legal action, which generally results in a payout of thousands of dollars if not more. As an employer, you want to do everything in your power to avoid any legal problems. Every year, new laws go into effect. This means that businesses need to take the time to do an analysis on their company to ensure that they are in compliance with these new laws. Although it may seem like a nuisance, a legal check-up could protect you from a lawsuit. Although you may have already dealt with some of these, you want to be sure that your business is covered in each of these areas. You don’t want to be hit with any legal surprises, extra taxes, or some other preventable problem. Your business structure influences your taxes, company management, and so much more. If you don’t have a partnership, limited partnership, LLC, or sole proprietorship set up for your business, you should take steps to solidify the best structure for your business. However, if you do have a business structure in place, this may be a good time to check that it’s working the way you intended. Without an employer identification number (EIN), you can’t open a corporate bank account or file your business tax returns. Hopefully, you already have an EIN, but if you don’t, you should certainly get one. You can apply for an EIN over the phone or through the IRS website. The location of your business is critical when determining what permits are required for your industry and business. Permits can also be from the country, state, county, or city. Permits are needed for so many aspects of business, whether building, health, fire, industry-related, and more. You need to do your research to ensure that you are adequately covered. When a business begins, agreements are often informal. As the business grows, you will add more people to your company sometimes without any type of contract. The lack of clear agreements can result in legal disputes about many different parts of the employer-employee relationship. You should evaluate your employee contracts to ensure that they are up to date. An employee handbook helps workers and managers to be on the same page for work expectations. The policies create clear legal boundaries and outline what is appropriate in the workplace. After all, as an employer, you can be liable for the behavior of your employees. An employee handbook can help protect you from legal hassles later on. Taxes are a part of the fabric of life. When you own a business, you have many possible taxes to be aware of and should be aware of the tax authorities in your area. Your business type and location both impact the taxes you need to register and file for. If you are unsure about whether you are compliant with the law, you may want to hire an accountant or a tax advisor to help you. Evaluate your terms of purchase and the process for determining who you work with. When businesses are small, you can get away with skimming and less strict terms. Without terms of purchase in place for vendors and suppliers, your business can face legal challenges in the future such as fraud, embezzlement, and self-dealing. Building a brand is just as important as what you are selling. You want to make sure that you hold the rights to the business name and website domain and all associated social media accounts. To name your company before checking the availability of the name could cause customer confusion and extra headache for you. Trademark your name and have the website domain from the start. Quick growth for a company often requires new and bigger office space. However, a multi-year lease could spell trouble for your company if the business begins to worsen. You’ll still need to pay the bills on the commercial property even as your business tanks. If you aren’t sure you can handle a bigger office cost, you should consider shared space or allowing employees to work from home. Since the General Data Protection Regulation (GDPR) went into effect, businesses are being scrutinized for how client information is collected. Even if you don’t work with European consumers, you want to be aware of how you collect data to help make sure that your company stays within compliance with FTC guidelines and future problems. Data collection can be a nuisance but working on it now will protect you from future problems. 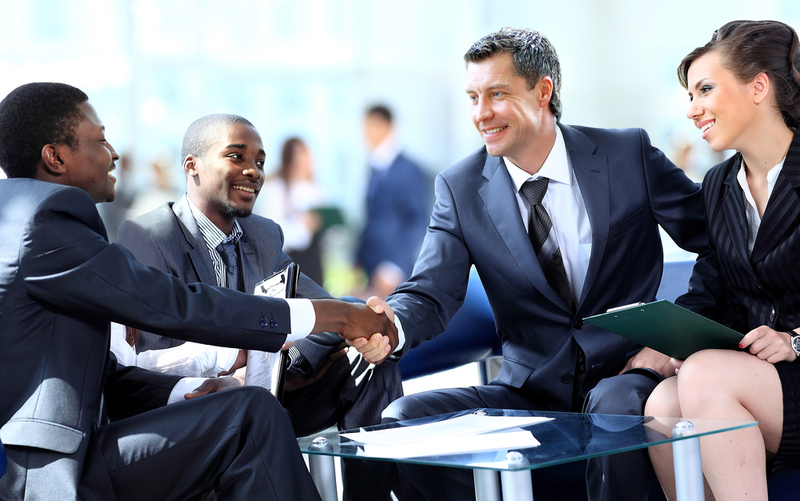 A business attorney can be irreplaceable for a legal check-up for your business. Although your business may have been compliant with the law when you started it, you need to be sure that it still complies with the law. After all, the law is continually changing. You need a lawyer with experience in employment law, business law, and contract law.